Jimmy Dean Fully Cooked Sausage Crumbles can quickly and easily add a zip of zest to any recipe. t Jimmy Dean Sausage Crumbles are perfect to keep stocked in your kitchen. They are full of flavor and can quickly and easily add a dash of delicious to any recipe. Since the crumbles are fully cooked, they save you time in the kitchen and go perfectly with a wide variety of dishes. They are also very easy to find, as they’re located right in your grocer’s refrigerated meat section. 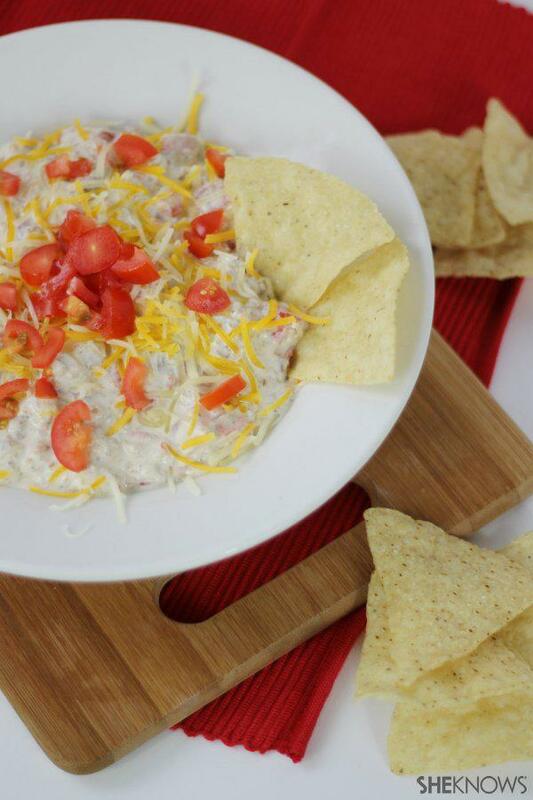 t Here is an easy and yummy recipe that is perfect to share at your upcoming Super Bowl party. t Place all the ingredients in a slow cooker on high for 30 minutes. Stir continually. Serve when the cream cheese completely melts. Garnish with shredded cheese and chopped tomatoes. Serve warm and enjoy!